Crafted from cool 14 karat white gold, this Celtic diamond ring forms the shape of a round Celtic knot, sitting in the center is a 0.10 carat sparkling diamond. 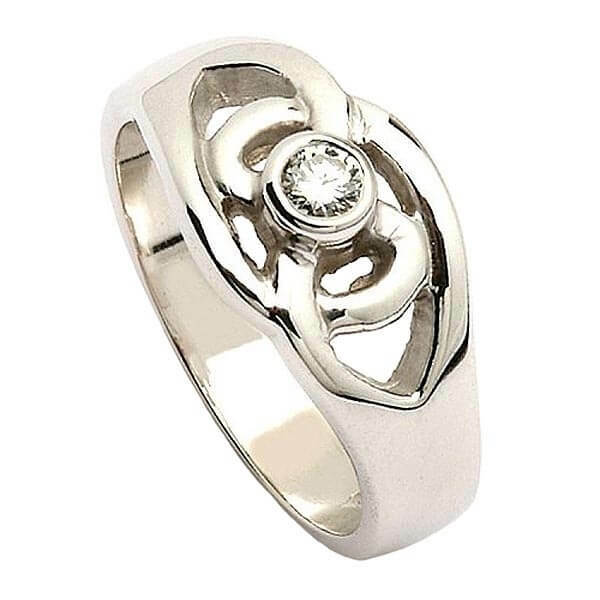 The white gold allows the diamond to sparkle in all its glory, enhancing the reflection. 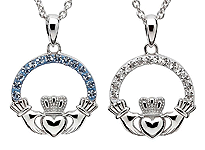 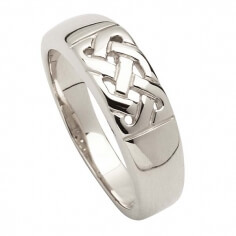 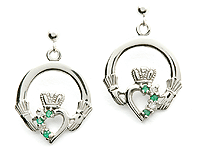 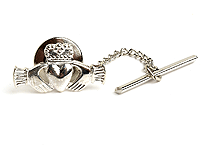 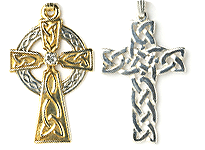 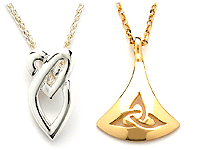 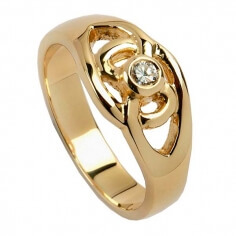 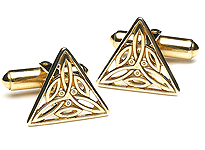 Handcrafted by skilled Irish artisans and hallmarked by the Dublin Assay Office.